Lock in a great price for Princess Mayev – rated 9.2 by recent guests! we enjoyed the food as well as breakfast at the restaurant , from management down to staff, they are all very nice and caring people. Most beautiful staff, manager & restaurant personal you could ask for. Outstanding views of city & bay. Very nice pool. A lot of repeat quality guests. Olivia our housekeeper was as wonderful as her smile. La Crucitta is amazing little town. God willing we will be back. Everything. Excellent location staff friendly people. Staff was very helpful and breakfast was delicious. The restaurant was pleasantly situated. everybody was exelent.i will go back in a heartbeat. I like the location, very central to main attractions and also shop for basics very close by. We like the place and the facilities. Nice and friendly staff but that is the case with everyone in Town. Lovely people. Nicest people on the planet. We felt like family. 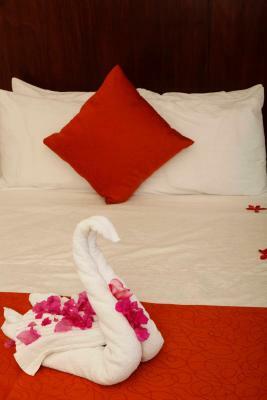 The staff was more than helpful, they made sure our stay was perfect. We booked a ocean view room,. To watch the sunrise every morning was breathtaking . We traveled as a couple. There were a lot of families staying at this hotel. The restaurant and bar were good and a very fair price. This hotel excels at pretty much everything. On top of the list is their customer service. Ricardo and Jose quickly come to mind. All the staff at the front desk and in the restaurant were just wonderful. The service and food in the restaurant was great. We loved sitting there with the amazing view of the bay and the wonderful breeze. We were there the first part of December and the hotel and grounds were so beautifully decorated. It was really special. Princess Mayeve was like a home away from home. The entire staff treated my friends and I like their family. 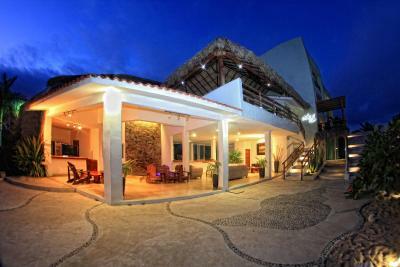 The site has less than 30 rooms so we enjoyed the intimacy of the property. I would book again! Princess Mayev This rating is a reflection of how the property compares to the industry standard when it comes to price, facilities and services available. It's based on a self-evaluation by the property. Use this rating to help choose your stay! 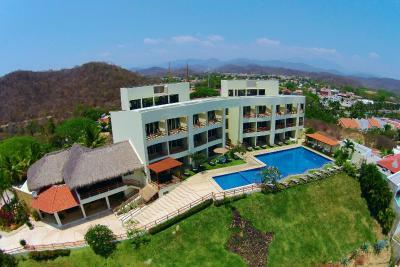 One of our best sellers in Santa Cruz Huatulco! 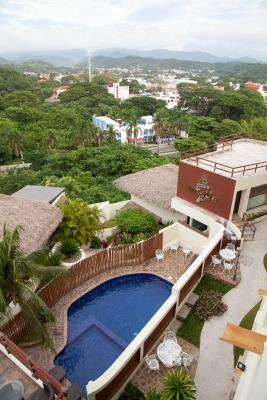 Princess Mayev is 5 minutes' walk from Chahue Beach, in Huatulco’s exclusive Puerto Santa Cruz district. 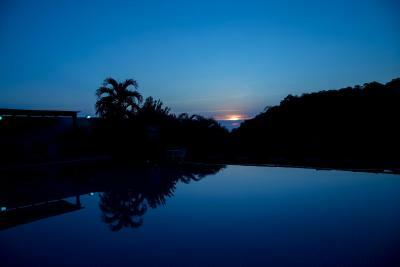 It offers an infinity pool and air-conditioned rooms with a balcony and amazing sea views. 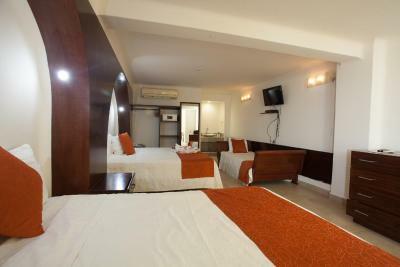 The rooms at the Princess Mayev feature a seating area with cable TV and free Wi-Fi. Each one comes with a safety-deposit box, a ceiling fan and a private balcony. 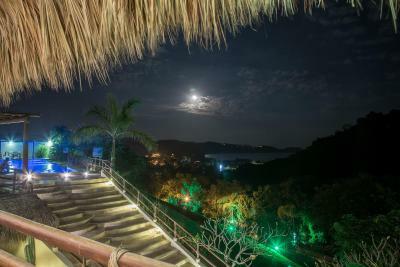 Overlooking the ocean, the hotel’s Xima Lounge restaurant serves traditional Mexican food, plus seafood, pasta and steaks. There is also a bar with a terrace where you can enjoy a drink in the sun. You can walk to the center of Crucecita in around 15 minutes. 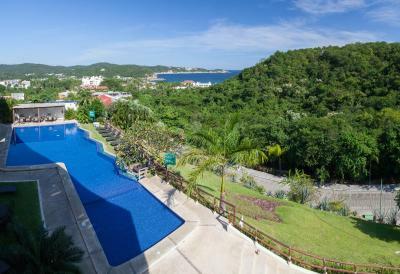 Huatulco Airport is a 20-minute drive away. 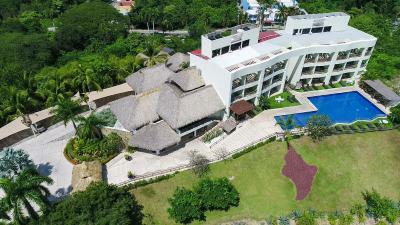 This property also has one of the top-rated locations in Santa Cruz Huatulco! Guests are happier about it compared to other properties in the area. When would you like to stay at Princess Mayev? 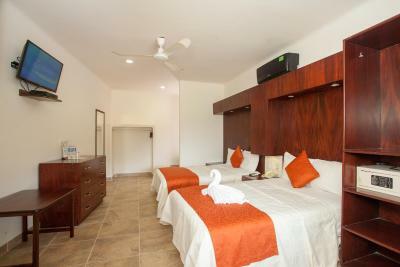 This air-conditioned room features a private balcony with fantastic panoramic views of the ocean. 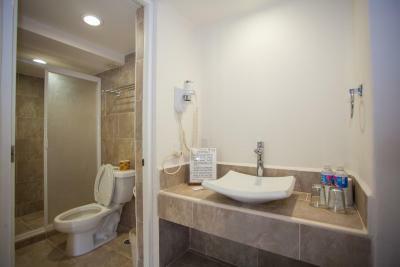 It comes with cable TV and a private bathroom. Max occupancy is 4 people. Any combination between adults and children. 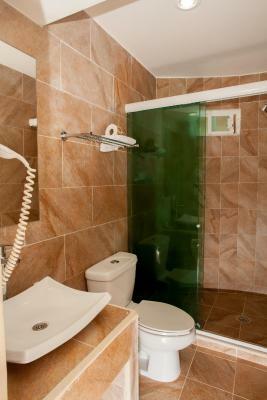 This elegant air-conditioned room features a cable TV and a private bathroom. House Rules Princess Mayev takes special requests – add in the next step! Princess Mayev accepts these cards and reserves the right to temporarily hold an amount prior to arrival. 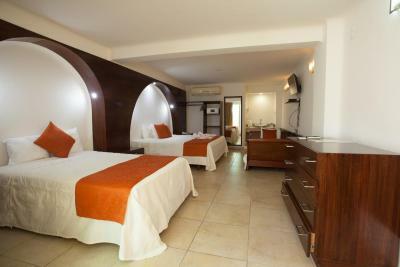 Please note extra person rate is $150 MXN per adult per night. Take in considerations children under 12 years old are free in existing beds. There were ants crawling all over one of the walls and the table and chest of drawers. The WiFi was inconsistent. The air conditioning needed a long time to cool the room down. The staff were really nice and helpful throughout my stay and kindly let me check in early because a room came available. The bed was comfortable and the tv had a good selection of channels. 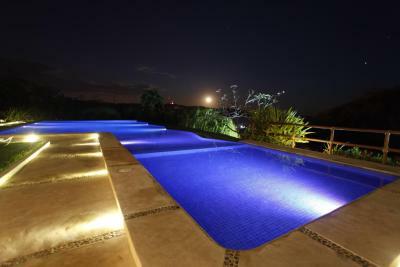 The pool was great and the view nice. Staff immediately refunded the excursion I had booked when I was sick which was appreciated. Too many stairs and no elevator. umbrella's between some of the loungers by the pool would be welcome. Staff were super friendly and helpful at all times. Our room was spacious and comfortable. We loved our town view and balcony. 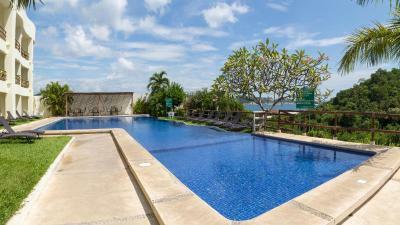 Great location, delightful staff, fantastic value for money. No bar service around pool area. The view from balcony was awesome. We were upgraded upon arrival, very nice. Friendly staff and owner. Happy to give us a late checkout and stay at the pool for a few hours with no hesitation. More electrical outlets. A closet to hang clothes. A fan which could have been more stable. Menu lacked good vegetarian options. I only tried the guacamole and it didn't taste great. I'm sure the meat and fish is done well. Everything else was fantastic. 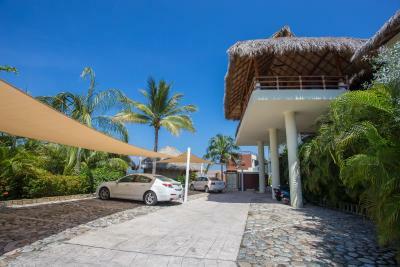 There is a good restaurant on the premises and an easy walk to La Crucecita and Bahia de Santa Cruz. 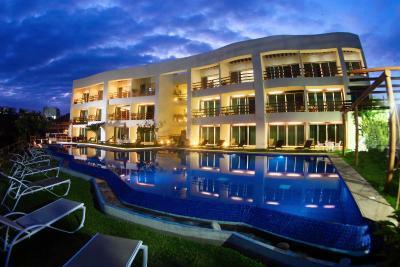 This is a nice family hotel and we enjoyed it as a retired couple as well.